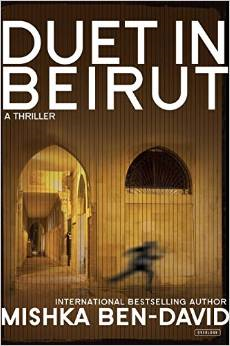 Book #4, Duet in Beirut by Mishka Ben-David. When I saw this book I thought it would be filled with action, James Bond type of book. It really didn’t live to my expectation. Duet in Beirut is about two Mossad agents, Ronen and Gadi. Mossad is Isreal’s CIA, gathering intelligence and executing secret missions around the world. Why didn’t it live to my expectation? Well I thought it would be more action, a little romantic situations, but the book really started off slow for me. It does pick up in excitement which is why I just didn’t stop and put the book down. Just a quick summary of the book, one of Mossad agents goes rogue after a mission that goes bad and gets blamed for it. After being let go from Mossad, he take matter in his own hand to assassinate a Hezbollah leader. His friend, Gadi go after him without the approve of the Mossad to stop Ronen from carry out this assassination and causing harm to himself and to his country. Gadi is able find Ronen and stop him from carry his assassination, only to learn he planet a bomb on the car of the Hezbollah leader. Thinking he diffuse the bomb, he learn that the bomb isn’t diffuse and has been set to go off at an unknown time. All of this is going on awhile the Mossad is deciding on what action to take and to send in a team to stop Ronen.